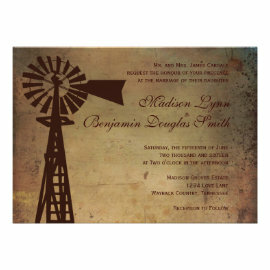 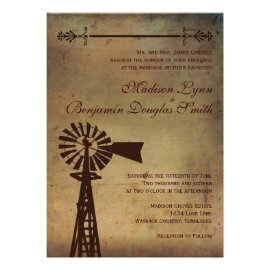 These windmill wedding invitations are perfect for couples who are getting married at a windmill wedding venue, or who are having a rustic country wedding and want a farm windmill design on their announcements. 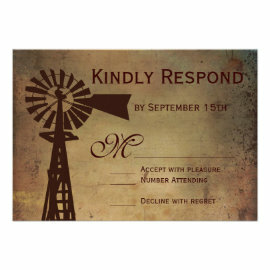 These also work great for couples who are getting married at a venue that has a windmill on the property, like The Windmill Winery, in Florence Arizona. 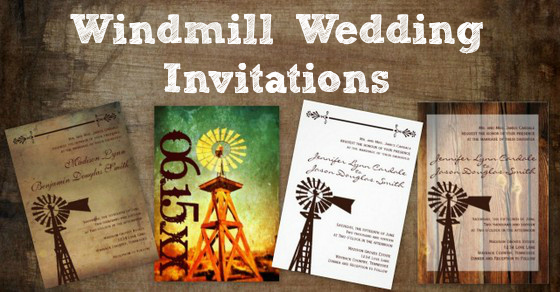 These are great wedding invitations for couples getting married at the Windmill Winery in Florence AZ or other windmill wedding venues.